Last month we discussed school security, and more specifically, a school’s obligation to protect the safety of its students. New York law generally holds that a property owner has an obligation – a legal duty – to take reasonable steps to protect the safety of people on its premises. That obligation includes the obvious example to maintain the premises free of hazardous defects, including snow and ice on the exterior portions of the building. There is also an obligation for a building owner to take steps to make the premises reasonably secure from criminal acts such as assault, or robbery, and that is the topic of this month’s column. A crime can be committed anywhere, at any time, and anyone of us can be a victim. It’s always a good idea to be aware of our surroundings, and to take common sense steps to protect ourselves. Obvious examples include parking in a well-lit area in a building’s parking lot, and walking with a purpose. Walking to your car while you are alone is also not a good time to be checking your e-mail, or to be texting someone. When is the Building Owner Responsible? The question of whether a building owner is responsible for an assault or similar criminal act committed on its premises is dependent on whether that owner knew or should have known of the likelihood of criminal activity on its premises. The fact that an attack occurred in any particular building does not in itself impose liability upon a building owner. New York appellate cases are firm in the rule that a building owner is not an insurer of a tenant’s (or guest’s) safety, so if the act is isolated, the chances of recovery will diminish. The facts to consider are whether there had been prior attacks of a similar nature on the premises, and whether the building is located in a high crime area, or in a relatively low crime area. The more proof submitted of prior criminal activity that has occurred in the building itself, or in the general area in which the building is situated, the more likely it is that a Court will eventually rule in a victim’s favor. Courts are reluctant to impose liability upon a building owner for an offense that it did not directly commit when the owner has taken steps to secure the building. 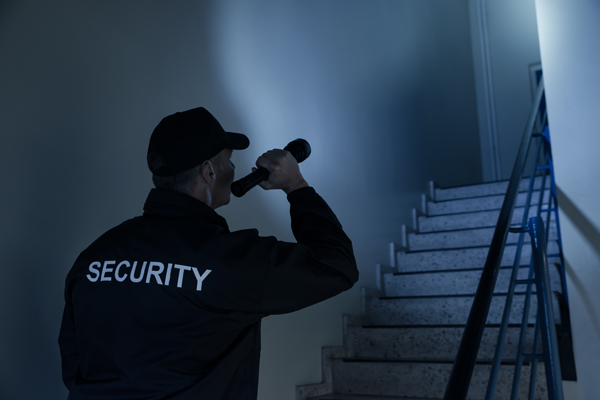 Typical questions to answer include these: Did an office building employ security personnel? Did it have a security desk in the lobby, such that an intruder would have been asked for ID, and where he was going before he was admitted? Were security cameras present? If the attack occurred in an apartment building, was entry restricted, not only in the lobby, which is obvious, but also through any back door, or side door entry? In cases involving an attack in a shopping center, the questions to consider include: Were common areas such as parking lots well lit? Were security guards employed? If the attack occurred in a shopping mall, was management aware of prior criminal activity? Did fights previously occur?